Do you develop in Amazon Web Services (AWS), have an Echo, and want the latest service availability details without having to open your laptop and scroll through dozens of green checkmarks? 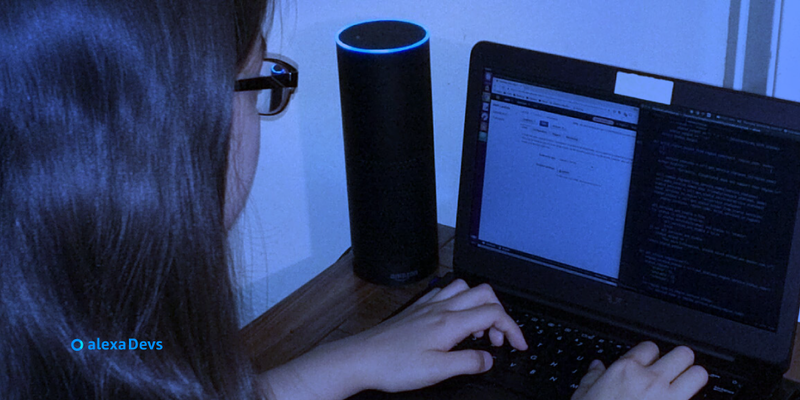 A home-schooled student named Kira Hammond has the solution with her newly-released CloudStatus Alexa skill. Kira wrote CloudStatus with AWS Lambda, using Amazon EC2 to build Python modules for Requests and LXML. The modules download and parse the AWS status page to provide the desired data. The Python packages and the skill’s code files are zipped and uploaded to AWS Lambda. Kira doesn’t have formal training in programming. Nevertheless, she was able to do most everything on her own. If she was stumped about something, Eric showed her where to find her own answers. “I pointed her at resources and recommended things to explore. I helped her sometimes when she ran into problems, but she solved most of them herself with Google and Stack Overflow.” When Kira was finished with her skill, Eric published it using his developer account. At first, Kira edited the code directly in the Lambda console. Soon she needed to import modules that weren't built in to Python. To manage that, she kept her code and modules in the same directory on a personal computer. That directory would get zipped and uploaded to Lambda, and the modules were right there next to the code. Throughout the process, she grew tired of constantly opening and modifying the code, zipping it and the modules, uploading it all to Lambda, and waiting for the Lambda function to save. To resolve that, she wrote a separate Bash program that lets her type “edit-cloudstatus” into the shell. The program opens the code files in the Atom editor. After that, it calls the command “fileschanged” to automatically test and zip all the code every time she makes a change or adds a Python module. Take advantage of the ASK blueprints and templates, which include lots of helpful comments. Use some built-in Amazon intents, such as AMAZON.YesIntent or AMAZON.HelpIntent. Before submitting your skill for certification, be sure to read through the submission checklist. If you don’t want a card to accompany a specific response, remove the ‘card’ item from your response dict. Look for the function build_speechlet_response() or buildSpeechletResponse(). For those using AWS Lambda, never point your live/public skill at the $LATEST version of your code. Instead, publish a version of your working Lambda function, then make an alias that points to the frozen version. The $LATEST version is for editing and testing only, so you don’t break the live skill. Refer to the ASK best practices for tips on designing voice interactions.